Search Engine Optimization (SEO) is a well orchestrated strategy, not a set of tasks. Many SEO agencies offer up a cookie cutter Statement of Work and plan that starts a new task each week. Sometimes they think about starting with Low Hanging Fruit (tasks that are easy and will improve rankings quickly, making them look good). However, SEO is about momentum. 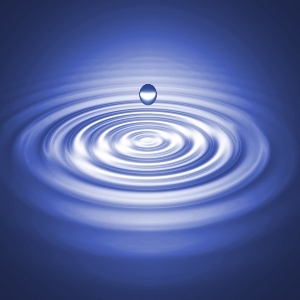 With SEO you start a ripple and then carefully increase that ripple into a wave. 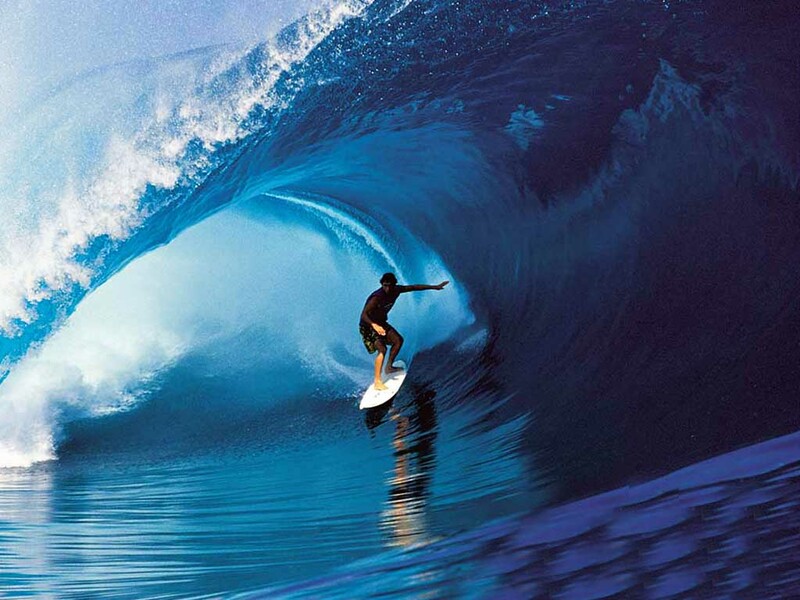 If you do it right you will have a virtual tsunami hitting your target market and sustaining their participation in your product or service over the long haul. Start by finding every place on the Internet that is relevant for your product or service. Identify all your current positive articles and bookmark them. Create all the social profiles that make sense and start participating. Join relevant forums, create directory listings, start commenting on blogs, answer questions at Yahoo! Answers and Linkedin, and start a blog with good content. Start a press section on your website and link to all the mentions of your website (that you want to promote) for everyone to find when doing research about your company. Send out a press release over the wire that includes an interesting topic, company milestone or other press release worthy information. Bookmark all the new articles and locations for that press release. Continue to create ripples with social media participation, blog comments, new blog articles, directory listings and Q&A participation. Continue sending out a couple more press releases that are interesting and informative. Continue to promote them on the Internet with bookmarking, social media, directories, blog articles and Q&A. Get a fair amount of visibility everywhere your customers and relevant industry online journalist will look to find additional info about your company and website. Once you have created a pretty good set of SEO waves, launch a press release that is monumental, offers information that is a must have for anyone to read about, or choose a topic that you know will get major syndication in your industry. Now that you have created a bunch of waves and everywhere an online journalist goes they see your website, it is time for the Tsunami. Push the monumental press release with as much external power as you can (bookmarks, social media, a blog article, etc). Contact the who's who in your industry about this serious press release. Leave no opportunity on the table, this is the tipping point. Most SEO professionals will stop and say, "I have done everything what else do I do now?" Don't let the momentum fall off. Keep promoting your press releases, positive articles and press section. Keep getting links, mentions & trackbacks. Keep finding new articles about your website and promote them externally. It is much easier (and cost effective) to sustain SEO momentum, than it is to create it. Did you take over a PPC campaign from some else? Do you have a collective Quality Score that is below average? Want to start from scratch but don't want to start from scratch? Don't worry, Google Adwords understands that sometimes an account history is doomed and the only way to salvage the PPC account is to start from scratch. That is a completely new account, new email address access, new billing information; a completely new Google Adwords PPC account. So you ask, "Why don't PPC accounts start from scratch when it comes to quality score?" Google Adwords starts new accounts at the industry average, then during the first few weeks or so Google will identify the true quality score of the new PPC account and make the change. This will give you a chance to compete in your industry, especially if you are an advanced PPC expert starting with a brand new PPC account. Step 2 - Create the complete account with Google best practices, you want to catch your competitors off guard with a complete account upgrade. They won't know what hit them. Fully Sync your campaign and ad groups, use the keyword themes in the ad headline, display URL and keyword theme of the landing page. Keep your ad group keyword themes tight (3 to 5 keywords per ad group max; usually plural and non-plural versions of the same keyword). Step 3 - Before the campaign goes live, make sure you have the correct settings. This can kill any account or campaign. Pick the right location (e.g. geographic area), language, devices and network (always keep content and search network campaigns separate, they have different successful CTR and the content will hurt the search quality score if not separated). Step 4 - Pick a minimal budget amount & standard ad delivery method so you can control budget initially. There is always one keyword that has multiple meanings, you could spend thousands even before you see initial campaign results (Google has an hour delay since they are not able to show statics in real-time). Step 5 - Create ad groups separately for Exact & Phrase Match keyword themes. If you have time put the exact match negative keyword in the same phrase match keyword ad group, do it. This will take out the guess work from Google and give you better CTR & lower CPC. Google naturally tests paid search results 10% of the time, which means unless you have negative exact match in the phrase match campaign the phrase match ad group will show for the exact match keyword 10% of the time. Bad for quality score, CTR & CPC. Step 6 - Initially, bid higher to capture more clicks, try your best to pick keywords that you can rank on in position 1 to 3 for the cost you are willing to pay. The better your CTR, the better your Quality Score, the lower you pay CPC. The initial increased cost will result in a higher CTR, giving you a lower long-term CPC. Step 7 - Start identifying negative keywords after the first 3 hours your PPC account goes live. This will also help your CTR. It is also ok to create a list of negative keywords even before the campaign starts, just make sure they will not restrict your initial visibility. Don't make a change unless you have a good idea of how it will improve your PPC campaign. Make sure to ad new text ads into the ad rotation and look at "See Search Terms" report to identify new keywords you can add to Exact Match. It is ok to try new things but introduce new risk a little at a time. 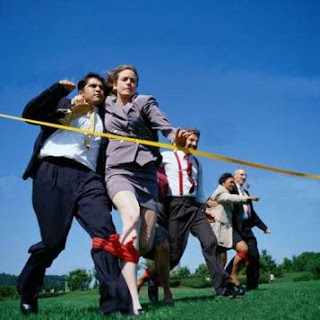 You don't want to hurt your PPC campaign CTR and Quality Score with a bunch of crazy ideas. That is why you started from scratch in the first place. If you have the time use the Experiment tool or Google Conversion Optimizer or Google Website Optimizer. These tools will help reduce risk and test new ideas at the same time. Have you noticed that Google is making it too easy to mess up your great PPC strategy, quality scores and campaigns? Introduced a couple months ago was the Similar Users Beta for Google Adwords. This Beta looked at your Remarketing audience and served PPC ads to similar users in the Google Content Network. I call it Modified Broad Match Content Advertising. Still just a shotgun blast at the Google Content Network however it is based on a profile of your Remarketing audience. Recently Google had introduced a new Beta that offers the ability for Google Adwords to crawl your website and PPC campaigns to identify deep pages on your website that are similar to your PPC campaign but not showing optimally for long-tail search queries. The idea is to match up long-tail search queries with your deep content to pay less for a click. That is instead of paying Phrase Match CPC prices, you would magically pay Exact Match CPC prices. All that is going to happen is your PPC campaign will get a bunch more clicks (Hooray for Google!) and you are going to need a ridiculous amount of negative keywords. Put your local adwords ad into Google Adwords Express and allow Google to choose when to show your ad in local search results. Google Adwords promises that it will only show your ads when it is relevant to a searches query. Again, a modified broad match style of local advertising on Google. If you don't have time to build out your PPC campaigns properly and have to use the preceding Betas and new local advertising interface, you are wasting money. How much you are wasting depends on the spend, geo-targeting of your PPC campaigns. As well as the amount of pages indexed for the Deep URL PPC Beta. Good SEO starts from the top and works its way down the company. The SEO Expert needs help from everyone at a company to get the most out of SEO. SEO is a company-wide initiative. There are many departments outside of the Search Engine Marketing Department that can help with SEO. Much of what this department does is directly related to SEO. When uploading products to a website, the most important SEO variables are under their control. This team will supply the URL structure, Meta Data, and Body Content. Without proper training for SEO best practices, you end up doing every task twice. Links are the life blood of organic rankings, in the eyes of Google. This department has a direct link with industry websites, blogs, and industry experts. If they are not asking for added value links for sponsorships and print advertising, SEO will suffer greatly. Another important link building tactic, press releases. Without knowledge of proper SEO optimization of a press release, you might as well just throw the $300 for a press release distribution out the window. This department is responsible for sponsorships and in-person displays. Link building from these activities can also help with SEO rankings. SEO is a company-wide initiative that needs to be a priority for everyone. Google organic rankings are important for any company. Without the help of everyone at a company thinking about SEO best practices as they work, your organic rankings will suffer. Many are calling an end to Mobile SEO with the introduction of smartphones and Tablets. Long gone are the days of SMS optimization & .mobi domain extensions, but one thing remains true, search intent is unique to the device. Many of us that are using smartphones to access Google are still looking for local restaurants, bars, shopping & auto repair (to name a few). A customer may not want to buy a $1,000 Home Theater from Best Buy on their mobile phone but they do want to know the closest store that has that item in stock. We are still accessing Google search to find organic listings that help us with local tasks. Whether a first generation smartphone or iPhone 4, we still need to use SEO on our mobile website to fill a need that the mobile user wants to fill. Many consider Desktops and Laptops as similar search intent when accessing Google search. The laptop is more mobile than a desktop and can be used at a local starbucks or at home on a wireless modem. Both are used in a similar fashion, the laptop giving more freedom to log on anywhere where as most desktops are in a fixed location. SEO for desktops and laptops is very similar in nature. Tablets are starting to take over for Laptops, giving us even more flexibility to go about our business without a bulky laptop in tow. The tablet, being more like a smartphone, is more attractive to those using a smartphone but need a bigger interface similar to a laptop. This brings new challenges for SEO, more than just clicking the button in Google Adwords to include iPads for search campaign ads. The search intent and use is much different, and warrants a new SEO department, Tablet SEO. The Tablet offers more freedom to use during work and play. It is not portable enough to replace the iPhone in your pocket but is easier to use than a laptop in your everyday life, especially if you are out and about a lot. Many people are using Tablets for purchasing & price comparison while performing inventory control. It is a much better interface for a salesperson to show off a web-based product on the showroom floor or at conventions. And many Tablet users are performing searches relevant to these tasks, and need a completely different set of search results. The Tablet user doesn't want to research every option for a new $1,000 Home Theater (Desktop/Laptop), they may not be looking for the closest location (Smartphone), but they do want to compare prices, place bulk orders, control inventory or even show off cool videos to potential customers. Tablet SEO brings with it a new search funnel and set of keywords, while still utilizing the same old algorithm that Google offers to Desktop & Laptop users. Figure out the search intent of your Tablet users, how they find your website, and why they use your website; then use your SEO knowledge to harvest this search opportunity. If nothing else, start thinking differently about smartphone, tablet, laptop & desktop users. They may use the same search keywords but they all have different search intent. The trick is to serve all four intents at the same time with similar Google search results. Ever since the beginning of Pay-Per-Click advertising, we have been looking for the holy grail to decipher the paid search algorithm. Google offered a cumulative quality score to show how much you would end up paying per click versus competitors and in what position. However, in an attempt of desperation, MSN AdCenter has revealed the complete quality score variables to all of your keywords in PPC for Bing & Yahoo, kind of. Landing Page Relevance (1 or 2) = Did you keyword stuff your page with all the keywords listed in your Ad Group? Landing Page User Experience (1 or 2) = Spammy, too many ads? Or are they saying too many external requests (for ads) causing page load time to be above a threshold? Quality Score (1 to 10) = a Score that is calculated by a complex algorithm taking the following 3 variables, plus many others. Keyword Relevance (Problem or No Problem) = Real Relevance to Keyword based on theme used in Text Ad, Display URL, etc. However, if the Keyword is "keyword #1" and all the elements of the ad are "keyword #1" themed, and the keyword relevance is the highest (2), how can the quality score be 1 in MSN AdCenter? It would be around 4 in Google Adwords. It seems that MSN Adcenter is not measuring keyword relevance versus competitors, only by the Click-Through-Rate as a raw number. I also suspect that the Quality Score closely ties to the location of the keyword in the paid search array, whether in position 1 or 10. I think it took Yahoo (now Bing) years to catch up to Google in calculating a CPC that wasn't based solely on max CPC. And now you think MSN Adcenter's Quality Score is as good as Google's Adwords Quality Score, Nope! Google's response? To laugh and say nice try, Bing. Google's Quality score is calculated every time a search is performed, and with lightning speed figures out the most appropriate ads to show, in the right position. Whereas, the MSN AdCenter Quality Score transparency only looks good but after digging deeper, it is not even 1/10 the complexity of Google Adwords Quality Score. 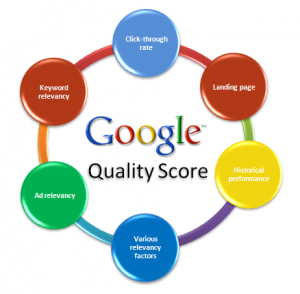 The MSN AdCenter Quality Score is a loose estimate of SEO variables re-purposed for PPC optimization. But this is the same as the SEO search algorithm, Google's is far superior. Google is now requiring a new set of "basic" required attributes, as well as attributes which are required for certain product categories and target countries. Here is a link to the new Feeds Specification. If you don't have time to read a full article see the new requirements in table form. Starting September 22, 2011, accounts that do not comply with the new Google Product Search requirements will be suspended. For more information about how Google will enforce the new policies, visit this Help Center article.Google will continue to regularly check feeds for accuracy of pricing, availability, and general product information, and take action against accounts that violate the standards. 1) Google would like a user to be able to find your products even when they are out of stock. For this reason, the [availability] status of all your items will be required. 2) Google has added a new required high-level attribute called [google_product_category] that contains the category of the item in Google’s taxonomy. This is in addition to the current [product_type] attribute. 3) Google is making [image_link] required and you can submit up to 10 additional product images through [additional_image_link]. For apparel only, In order to create a better experience for product variants that are available in multiple colors or sizes, Google asks you to include information like [size] and [color] in your product feed. In addition, Google requires you to provide [gender] and [age_group]. 13) availability [availability] - Whether the item is in stock or not (allowing customers to still find your products even when out of stock). As of May 3rd, 2011, unique product identifiers are required for all products (except those products in the apparel category and custom made goods). It is recommended that you update your account settings or data feeds as soon as possible to ensure that you are complying with these new requirements by September 22nd. What is Google Product Search? Formerly known as Froogle, Google Product Search is a search engine for you to find products to shop for and buy. Like Google Search Network, you search for a product and are presented with listings. These listings can be sorted by many different attributes (price, category, brand, etc). Like a comparison shopping engine, Google Product Search allows you to compare prices and click through to the listings third-party Website to purchase the product. Products are not purchased within Google Product Search but on the website that has submitted the feed. Why Submit Your Products to Google Product Search? For retailers, Google Product Search is another great "and free" way to promote your products on the Internet. Google Product Search listings are searchable and show up in regular Google Search Network organic search results. How Do I Submit My Google Product Search Feed? You can start a Google Product Search feed with all the basic attributes and upload directly to Google Merchant Center. 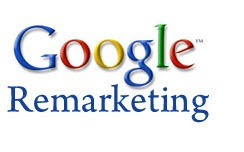 Google Merchant Center is also a place to add your retail locations to Google Search and Google Maps for your customers to find you on the Internet.